Liverpool playmaker Adam Lallana has raved about Sadio Mane, following the £34m winger’s performance against Barcelona. Mane scored his first goal of pre-season and was a constant thorn in the Spanish giant’s side – pressing relentlessly when we were out of possession and providing pace and dynamism in behind when we were on it. 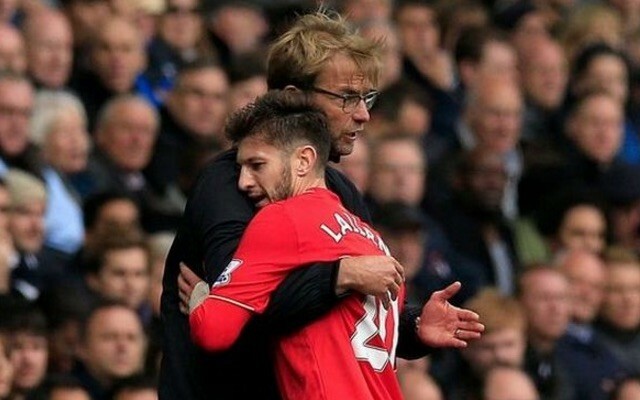 “I knew straight away what he was about,” Lallana told the Express. “I knew what he was going to bring to the team, regardless of what everyone has seen in pre-season. You saw all those different parts against Barcelona, but I saw them all in his first couple of sessions. “He is different to what we have. He is unpredictable. He can go down the outside, he can come inside, he has a goal in his locker like he produced against Barcelona. “He’s a very good addition to the squad, believe me. We have loads of different players who can play loads of different positions. Interestingly, it might be Lallana who has to sit out at times this season for the Senegalese attacker. Often the Englishman plays on the right for us under Jurgen Klopp, but that spot looks like Mane’s – meaning Lallana will have to earn selection as a no.10 behind the striker or even as part of the central midfield three. He showed against Barcelona that he’s more than capable of playing here, putting in an outstanding first-half performance behind Roberto Firmino. Klopp likes using Coutinho from the left, so there’s definitely a chance for Lallana to make the no.10 spot his own, although that requires Firmino to play further forward and not in the pivotal creative role. Whatever happens, it’s great that we have so many exciting options in the final third – that’s before mentioning Daniel Sturridge and Divock Origi who’ll be fighting with Firmino for the centre-forward spot.